Suter Tester (Portable Water Resistance Tester) is designed to test the water pressure-resistance of waterproof-fiber cloth or other material, to obtain a precise water-resistance level for these materials. No electricity is required with the portable water penetration tester. 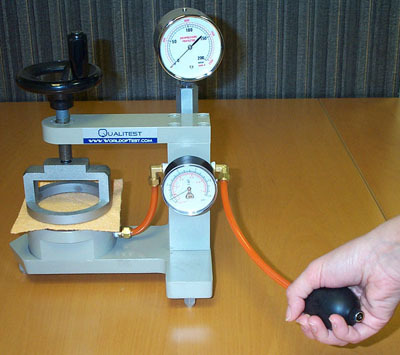 The frame of the instrument is made of aluminum and can be used for estimating higher pressures. It can be switched between high pressure and low pressure and is portable for convenient in the field inspection.